Coverfox recently introduced the ‘Coverdrive’ app for insurance agents. Go through this 3 minutes read and get better insights to know what’s in store! Gone are the days when the traditional insurance agents used to knock your doors for selling insurance. With digitalization, millions of people are moving to embrace the new technology by buying insurance online. Insurance industry is growing tremendously and gaining popularity with the introduction of e-commerce. To give a boom, Coverfox.com has introduced a new seller’s app named Coverdrive which is absolutely FREE of cost. This is a platform for insurance agents and individuals to sell insurance through a mobile application. Coverfox through Coverdrive will give new employment opportunities to the youth, housewives and small-scale businessmen. Coverdrive is more like a Digital Assistant for the New Age Insurance Agent. It allows anyone right from an individual to an insurance agent to engage into the insurance business with the touch of their smart-phones with the internet access. It will give business opportunities for around 26 lakh insurance agents and other prospective small-scale businessmen. You can now buy both general as well as life insurance products through this mobile app for your customers at the click of a button on one single platform. Coverdrive will optimize the performance and improve the operational efficiency to the insurance agents. An individual who has undergone a proper insurance certification and training from Coverfox can sell insurance through Coverdrive. This training and certification would be made available directly on the mobile app and the same would be available on tablets, desktop as well as mobile android app. Whom is this app for? Coverdrive – the mobile app for selling insurance online will cater to everyone including individuals to insurance agents. The following people can grow their insurance business and income by leaps and bounds with the help of this app:Insurance agents or dealers who are currently active in their insurance business. College students or house-wives who are looking out for new business opportunities to work either part-time/ full-time. Insurance companies who are currently having an offline distribution network. What’s the ultimate goal of Coverdrive? Currently there are 26 lakh active insurance agents in India. With the introduction of Coverdrive, 15 lakh inactive insurance agents will gain momentum to enter back into the insurance industry. Through this new mobile application, the approach towards insurance needs in India will improve tremendously. Coverdrive will offer employment opportunities for struggling college students, house-wives and businessmen who run their set-up at a smaller scale. It will help the no-income audience to become micro entrepreneurs. When you buy an insurance policy offline, the process becomes too cumbersome. Involvement of paperwork, offline payment through cheques etc. makes it even more troublesome. The already active insurance agents make business by selling various general and life insurance products directly to the consumers. This means the chances of getting lower premiums as well as right policy reviews are zero. Besides, the chances of mis-selling of products are also high. At times, people end up buying wrong products due to lack of knowledge and improper guidance. With the launch of Coverdrive, the insurance agents who lack knowledge about the products and technology will be empowered to serve their customers in a better way. 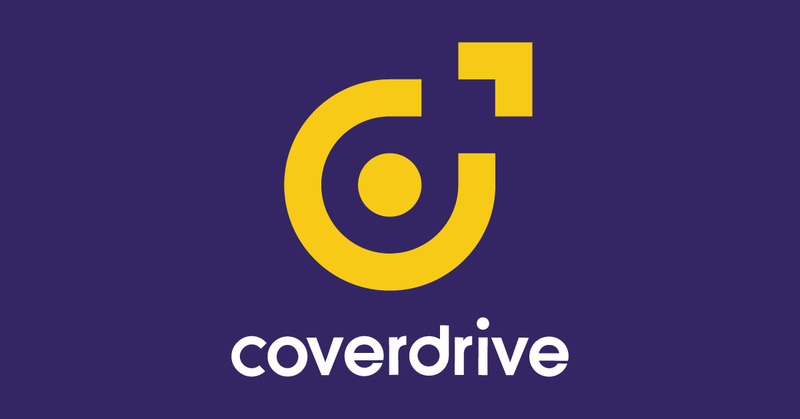 Interaction with the Brand: Buying insurance policies through Coverdrive will let you interact with the brand immediately. You get access to the insurance company you wish to opt for. You can check reviews online and then make a final decision whether to buy a particular product from a particular insurance company or not for your customer. Delight your Customers: Coverdrive will give you an opportunity to compare quotes of different insurers at one go. Finally, let your customers opt for the plan they feel is lighter on their pockets and the one that best suits their needs. Delight them with instant policies and post sales service like automated endorsements, express claims assistance etc. Safer Payments: When agents use ‘Coverdrive’ as a platform to buy an insurance policy, the payments too are secured and safe through payment gateway. You can make payments using your net-banking facility and debit or credit card. Every payment made on Coverdrive will be tracked easily to eliminate the chances of fraudulent transactions. Ease of Selling: We all know that buying insurance offline is a cumbersome process. Buying insurance with the touch of your finger on Coverdrive will eliminate the hassles of collecting quotes from different insurers, filling lengthy forms, tracking sales, travel all the way to the insurer for petty issues and overall make the process simpler. You can buy insurance in no time for your customers! It allows instantaneous issuance of the policy online to the end user. More Money in your Pocket: Insurance is highly competitive. With Coverdrive, the active as well as inactive insurance agents will get a platform to sell insurance and earn good commission. With the introduction of the mobile-app Coverdrive, a lot of college students, house-wives as well as struggling small-time business-men can earn good money by selling insurance. All you need is to have a training and certification from Coverfox. You will get the best commissions and can grow your earnings exponentially. In short, insurance agents can grow their business at a faster pace. All Records Under One Roof: Insurance agents can not only sell insurance on Coverdrive, but can also keep a record of any scheduled medical tests in case of health insurance or inspections in case of car/bike insurance of their customers. All policies sold and rewards earned through Coverdrive can be tracked in the single interface of the app. So, what are you waiting for? With so many benefits under one roof, who would like to miss such a business opportunity? Right from fetching quotes to tracking sales, everything is taken care of with Coverdrive. All you need to is focus on growing your business and earnings. Do not waste time, go and download the ‘Coverdrive’ app today! You may watch this video to get a better idea about Coverdrive. Do like, comment, share and subscribe to our Youtube channel!